Go with the work flow. 3M thermal materials dissipate heat and bottlenecks. Heat generation accompanies current flow, but with 3M thermal interface materials you don't have to slow your roll. Application engineers reliably deliver performance when the heat's on. The coolest solutions in heat management, 3M materials ensure efficient thermal transfer. When temperatures rise, you speed assembly for smaller, smarter products—destined to become increasingly cool. Ask us about a custom and affordable solution. We're a 3M Preferred Converter. Excellent gap fillers, silicone and acrylic elastomers pave the essential heat-transfer path between components and cooling devices. 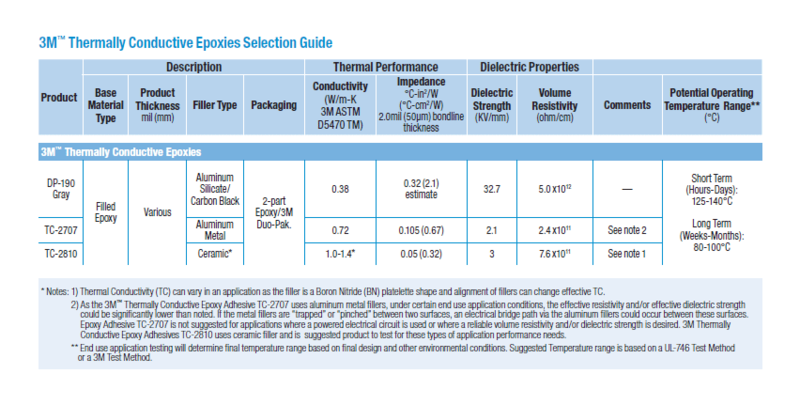 Choose from a variety of thermal conductivities and softness grades. High adhesive strength epoxies offer good surface wet out, low viscosity for potting applications, thin bonding line and more. A range of liquid adhesives dispense easily for in-line manufacturing and manual. 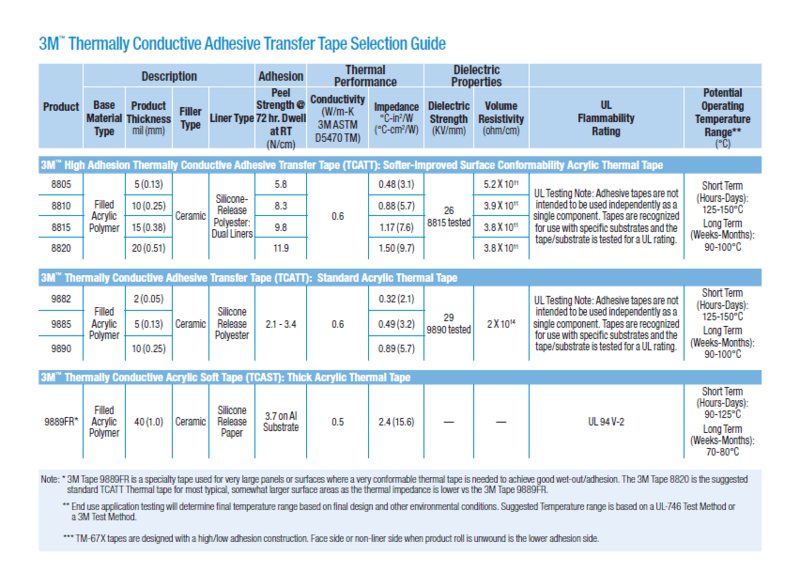 Highly conformable transfer tapes are known for excellent wet-out. Bond heat sinks, heat spreaders and other cooling devices with 3M's selection of high adhesion thin tapes for an array of applications. Ideally suited for screen printing applications, 3M's proprietary greases come in standard and lower viscosities. 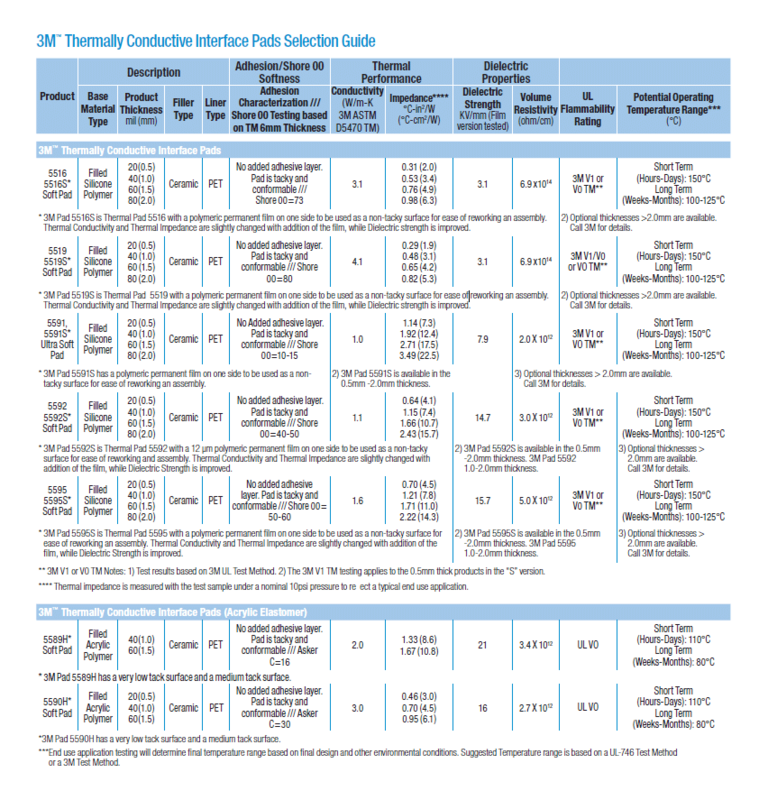 Solve complex thermal management issues with these non-silicone compounds. Need help applying a 3M technology to your electronics assembly applications? Let a highly-trained Hisco representative show you how to beat the heat. Just submit your request below.